As the southernmost region of mainland Italy, Calabria forms the tip of the “boot.” A narrow strip of water separates Calabria from the island of Sicily. The close proximity has allowed centuries of invading cultures to shape the food and agriculture of both regions. The methods of preserving food with salt and oil harken back to Roman antiquity; Saracen invaders brought artichokes and bergamot oranges and the Spanish conquistadors forever changed Italian cuisine by introducing tomatoes and chili peppers from the new world. Today, the agricultural production of Calabria boasts a rich tapestry of tomatoes, eggplant, melons, peppers, artichokes, figs, Tropean red onions and bergamot oranges. The food is elegant in its simplicity, and is based on a foundation of great ingredients grown and preserved at home. Calabrian cuisine has a reputation for heat, and if it’s not spicy enough, every table has a jar of oil-packed pepperoncini to add as you see fit. If you’ve never tried Calabrian chili peppers, you are in for a treat. These small round peppers are little cherry bombs of flavor; all at once salty, fruity, smoky, and spicy with a nice meaty texture. 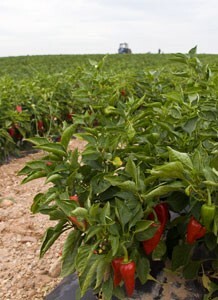 Our Calabrian Peppers come by way of Tutto Calabria, a small company founded in 1970 by Antonio Celli. Today the company is run by Antonio’s children: Giampaolo, Fiorella and Irene Celli, who are equally committed to sharing traditional Calabrian foods with the rest of the world. We love to eat them straight out of the jar; the seeds add a nice crunch. But they are also delicious stuffed with good oil-packed tuna or anchovies as antipasti. They add a delightful piquancy to a traditional Arrabbiata sauce, and also serve as a great pantry staple for a weeknight meal of bucatini tossed with diced pepperoncini, anchovies, toasted breadcrumbs and olive oil. We also have Tropean Lampascioni: sweet red onions, grilled, pickled and packed in olive oil. The red onions from the resort town of Tropea are celebrated with an annual festival where they are used to flavor everything from foccacia to gelato. As with the peppers, we like them best straight out of the jar. paradigm shift, and even though we have many canned tomatoes that we cherish, La Catedral’s version are the best we’ve ever had. La Catedral de Navarra is a family owned company located in the Navarra region’s fertile Ebro valley. Spain has a reputation for putting their best foods into tins and jars. Today, these foods are considered delicacies, but historically they come from the humblest of origins. During the Spanish civil war, soldier’s mothers preserved vegetables to sustain their children while they were off fighting. After the Civil War ended, continued food shortages made it essential to store as much seasonal food as possible to feed their families year round. Petra Lopez started her small canning business in Mendavia in the 1920s. By the late 1940s, La Catedral had grown to support the farmers from around their village community, and had a reputation for canning the best artichokes, tomatoes, peppers, white asparagus and leeks in the region. La Catedral works closely with their farmers; crops are always harvested at their peak of flavor, and are preserved immediately on arrival from the field. This picture shows P.D.O. 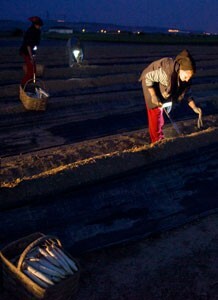 White Asparagus of Navarra being harvested at night to prevent any photosynthesis from occurring. Once they are brought to the canning facility the asparagus is scalded before peeling, and each jar is packed by hand. The texture is delicate and soft without any fibrous strands, the flavor buttery with just a touch of characteristic bitterness. La Catedral’s Organic, P.D.O. Piquillo peppers are hands down the best any of the Great Ciao-ers have ever eaten. 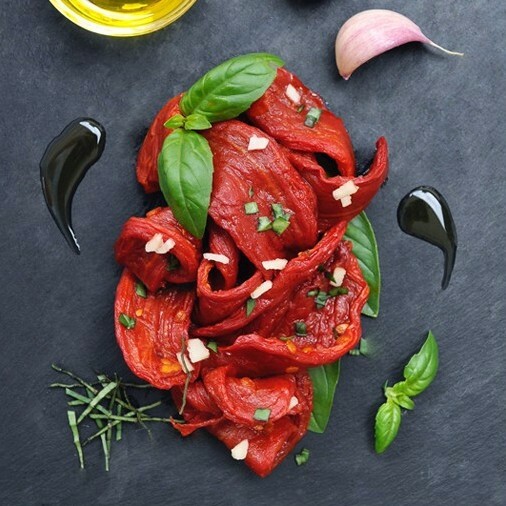 Piquillo peppers are harvested between September and November, charred over open fires, and hand peeled. The whole peppers are then dry packed into jars, so that the intensity of their flavor is preserved as they marinate in their own juices. 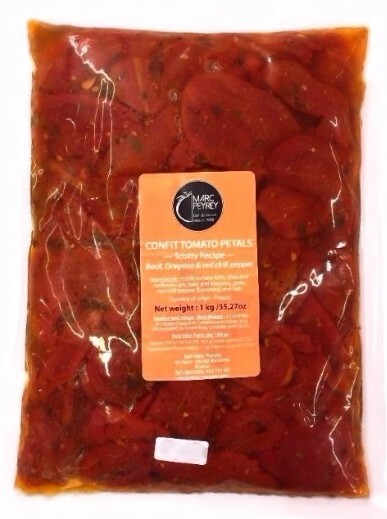 The texture maintains a bit of crisp snap (something absent in other Piquillo peppers) and you can taste a pleasant hint of fire-licked flavor. Summer is here and it is time to snack on olives, garnish with olives and celebrate the harvest and curing from last years harvest. The olive tree boasts two prizes—the olive itself and the precious oil pressed from the fruit’s flesh. A product like olives and olive oil is so unique and odd when you think about the magical process by which it becomes edible. The trees need a lot of attention; they take a tremendous amount of time before they produce substantive fruit, and the process of converting the fruit into an edible product is complex. Still, it is safe to say we are all thankful for the process and its product. 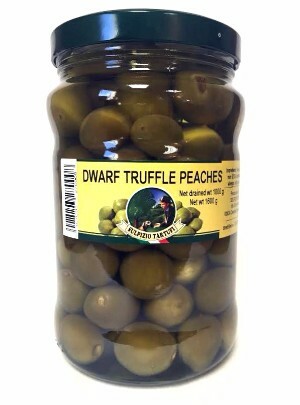 If you want know more about specific olives, check out the product page. The olive tree has been given the Latin name Olea europaea and is from the botanical family called Oleaceae. It is an evergreen that typically grows from 10-40 ft (3-12 m) tall. The branches are fine and many, and the leathery leaves are spear-shaped and dark green on their tops and silver on their undersides. The trees bloom in the late spring and produce clusters of small, white flowers. Olives grow erratically (unless the trees are cultivated and irrigated) and tend to either produce in alternate years or bear heavy crops and light ones alternately. Seedlings do not produce the best trees. Instead, seedlings are grafted to existing tree trunks or trees are grown from cuttings. Olives are first seen on trees within eight years, but the trees must grow for 15-20 years before they produce worthwhile crops, which they will do until they are about 80 years old. Once established, the trees are enduring and will live for several hundred years. Olives mature on the tree and can be harvested for green table olives when the fruit is immature or left on the tree to ripen, with a range from green, to brown and to black. The ripe olives are also harvested for processing as food but are left on the trees still longer if they are to be used for oil. Six to eight months after the flowers bloomed, the fruit will reach its greatest weight; and 20-30% of that weight (excluding the pit) is oil. In order to produce edible olives, harvested olives are cleaned, most often treated with a caustic soda (lye) solution which is rinsed away, and then cured in brine made of salt, oil, and flavorings. · For brined green olives, the salinity begins at 12%-14% and is increased by 2% every two to three weeks until a maximum solution of 22-24% is reached. · For brined black olives, the curing begins at 8-9% salinity; this is increased by 1-2% every two weeks until a maximum solution of 22-24% is reached. · For dry cured olives, the dry curing approach starts with ripe, soft olives and results in salty, chewy varieties of dried or oil cured olives. Before curing, the olives are gently “smashed” to allow moisture to permeate their skins. Then the fruit is layered and covered with salt for four weeks. After curing, the olives are immersed in hot water to remove the salt, rinsed in cold water, and spread out to dry. The olives are then coated with olive oil (which is why they are sometimes called “oil cured”) before being packed and sterilized. There are three determining factors to the flavor color and texture of an olive: the most important is the raw material (type of olive), next the color as determined by the timing of the harvest, and finally the texture and flavors as determined by the curing method. 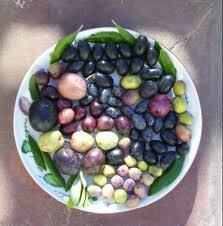 The fruit can be harvested when it is green and unripe, fully ripened to black or any stage in between. Older fruit can be salt-cured or dry cured to produce a salty, wrinkled product. Damaged fruit can still be used by pressing it into oil. It is the combination of the harvest, the cure, and any added flavors that yield the characteristics sought by the producer and consumer. Give us a call to learn more about the specific olives we carry!